Handy "Odds On", your favourite Cocktail, in its handy half-bottle flask with the liqueur-cup top. Carry it in your pocker. 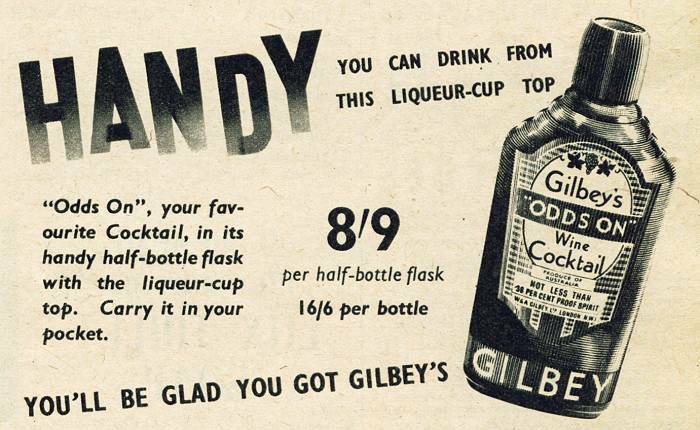 You'll be glad you got Gilbey's.